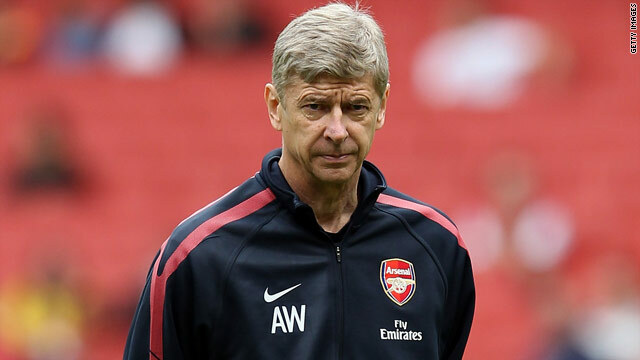 Arsene Wenger's new deal at Arsenal will take him through to the end of the 2013/14 season. (CNN) -- Arsene Wenger has admitted he rejected several offers from other clubs before committing his future to Arsenal. The French coach signed a three-year contract extension before his team opened their English Premier League season with a 1-1 draw at Liverpool on Sunday. Wenger's contract had been due to expire at the end of this season but now his stay at Arsenal will be extended to 18 years if he sees out the new deal. In that time the 60-year-old has become Arsenal's most successful manager of all time, winning the league title three times and the FA Cup four times. But Wenger's last trophy came back in 2005, with many Arsenal fans restless at their lack of silverware since. "I love the club and I don't see myself going anywhere else,'' Wenger told reporters after the game at Anfield. I get offers but I always keep a note in my job that I go to the end of my contract. "I get offers but I always keep a note in my job that I go to the end of my contract. I wasn't ready to talk and for me it is important to focus and not talk about other clubs or opportunities that I have. Wenger recently persuaded Arsenal captain Cesc Fabregas to stay with the club for another year after Spanish champions Barcelona tried to sign the 23-year-old. Fabregas was part of Spain's World Cup winning squad and joined Arsenal from Barcelona as a teenager. The influential midfielder is seen as key to Arsenal's title chances this season. Their next Premier League game is at home to newly-promoted Blackpool on Saturday.